Milinda Moragoda, Senior Advisor to the President visited New Delhi over the weekend on the invitation of the Government of India. This visit was part of a regular and on-going consultation process Mr. Moragoda has been having with Indian leaders. The purpose of this visit was to form an independent assessment of key issues concerning the Indo-Lana relationship and report back to the President. His interactions included official-level discussions with Hon. Shri Shivshankar Menon, National Security Advisor to the Prime Minister of India and Mrs. Sujatha Singh, Foreign Secretary. He also had political-level consultations with senior Congress Party leaders, Hon. Jairam Ramesh, Minister of Rural Development, Hon. 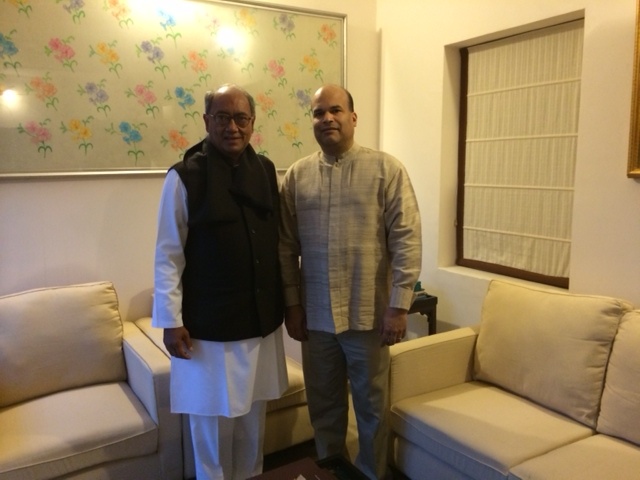 Digvijay, General Secretary of the Indian National Congress and Hon. Dr. E.M.S. Natchiappan, Minister of State of Commerce and Industry. He was back to Colombo yesterday 16,February 2014. This entry was posted on Monday, February 17th, 2014. You can follow any responses to this entry through the RSS 2.0 feed. You can skip to the end and leave a response.